The Academy Awards. The Oscars. Showbiz’ biggest Shindig is just a few short weeks away, on February 24. The nominations have been announced, but there’s still no host and no sign of one being recruited in time. Many of the year’s most popular films are slated for high-profile wins, while others are slow burners that might not have made it to a multiplex near you. Let’s look over what to expect at this year’s Oscars, and how to watch it. 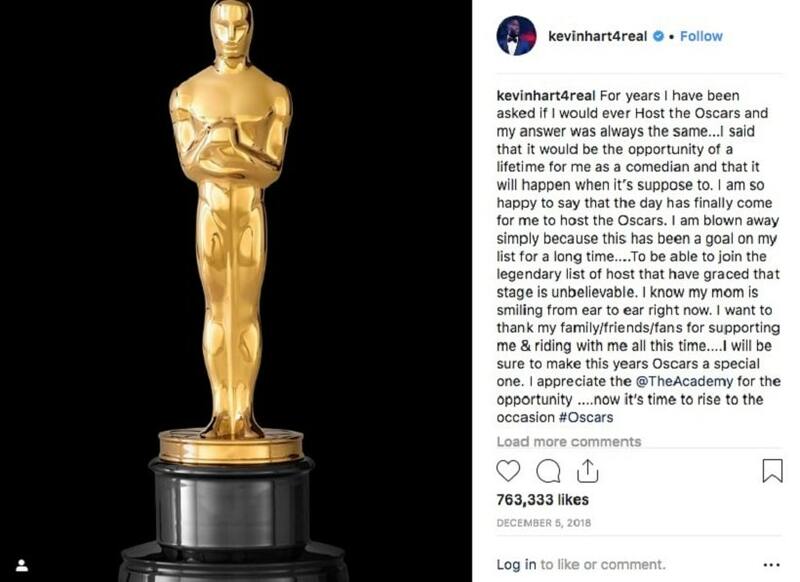 Comedian and actor Kevin Hart was slated to host, giving the assembled Hollywooders a respite from Ricky Gervais and fulfilling a personal dream of Hart’s. 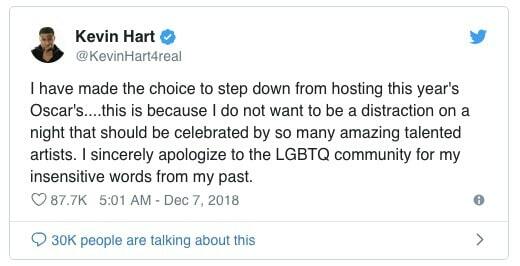 When those came to light, and Hart initially refused to apologize for them, he wound up stepping down. 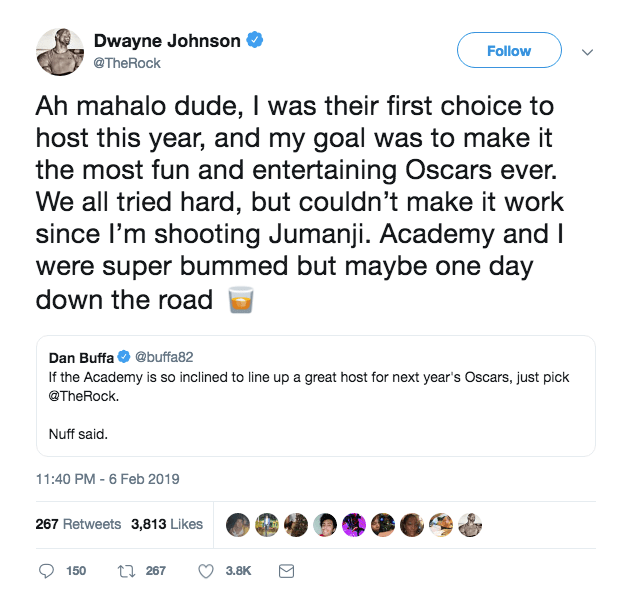 The Rock, who claims he was the Academy’s first choice anyway, can’t present: he’s too busy filming Jumanji. Ever-contentious, the Oscars always feel like cinema’s ultimate stamp of approval, so movie-lovers want to see if the ‘right’ film gets its desserts. This year’s nominations have been announced, including The Favorite and Roma, as well as a slew of nominations for Black Panther, A Star is Born, and Vice. A hot favourite for Best Picture is Black Panther, the first superhero movie ever nominated for the Oscars’ most prestigious statuette. And Spike Lee’s BlacKKKlansman is in the running for Best Director, a first for Lee. From the red carpets to the speeches, the Oscars is always a big draw. Inside the US, it’s a simple matter of taking your browser over to ABC, where the Oscars will be live-streamed. But what can you do to make sure you can watch them if you’re outside the USA? How can you watch the 2019 Oscars outside the USA? But outside the USA, it’s a different story. ABC is a fierce geoblocker, keeping anyone from outside the US away from any of their shows if they can. So what can you do to get around their barriers and watch the TV shows you want? The best option is a powerful, effective VPN. Free VPNs are best avoided. They’re not really free. You’re paying with your data and sometimes with your safety too. And not all VPNs work. ABC, like other networks, is getting better at detecting when you’re using a VPN and blocking you. The old days, when any VP you could find would unlock the world, are long gone. Thanks, rights holders! Now, sites like ABC blacklist known VPN servers and server locations, and employ ‘packet sniffing’ and other tools that reveal when traffic comes from a VPN server. Some VPNs that used to work, don’t. Others suddenly stop working, when a streaming site catches wise. But some VPNs will still unlock everything. You need to be looking for a tool that will give you access to the streaming services you want — figure out what you might want to watch next month too. And you want a tool that’s powerful enough to unlock anything and keep doing it, so a VPN with effective general obfuscation rather than dedicated servers is a better choice. Obfuscation disguises all your VPN traffic so it looks just like regular internet traffic. It evades VPN blockers because they don’t know it comes from a VPN. There are a ton of great contenders. We rounded up the best six we could find in this guide to the best VPN for watching your favorite TV show . Nord is powerful enough to unblock any content out there, with some of the best obfuscation on the market, and it’s fast and easy to use. It’s secure and reliable, and there’s an app for your device.